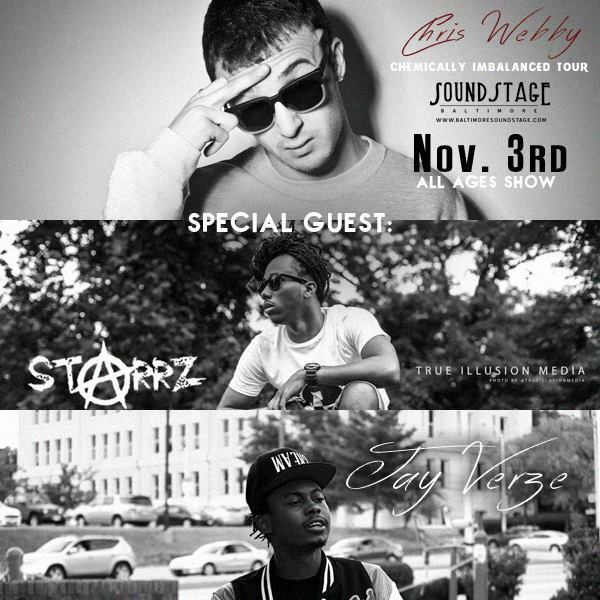 Chris Webby’s “Chemically Imbalanced Tour” will be making a stop in Baltimore at the Baltimore Soundstage on November 3rd. The show will feature special guest Starrz and Jay Verze. The doors open at 7:00 pm and the show starts at 8:00 pm. 124 Market Place Baltimore, MD 21202 ·To purchase tickets, click here!